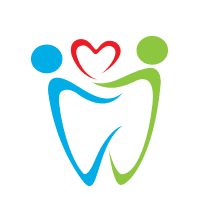 According to the American College of Prosthodontists, an estimated 178 million Americans are missing at least one tooth and about 40 million Americans are missing all their teeth. At Dental Care of Deerfield Beach in Florida, Juan Figueroa, DDS, can help replace your missing teeth through the use of dental implants. 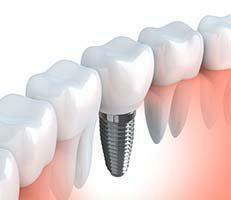 By inserting an implant, you’ll be able to chew properly and improve the aesthetics of your smile. Call the office today or schedule your appointment online. Dental implants are a great way to replace one or two missing or damaged teeth with artificial substitutes that function and look like real teeth. If you’re missing most of your teeth and don’t want removable dentures, the other option is to have All-on-4® implants. With the All-on-4 implants, you can replace the top or bottom row of teeth with just four implants instead of the typical six. To determine if you’re a candidate for implants, Dr. Figueroa suggests calling his office and scheduling a consultation. Dr. Figueroa invites a periodontist to come to Dental Care of Deerfield Beach to address any specific needs you may have along with examining your mouth to determine if you have enough gum tissue and bone to perform the implant surgery. After your initial consultation, the periodontist injects local anesthesia into your gums. After the anesthesia takes effect, the periodontist makes a tiny incision in your gums and places a titanium implant into the bone socket of your missing tooth. After the placement of the implant, the first stage of the implant surgery is complete. It takes three to six months for your implant and jaw bone to fuse with one another providing a solid base for your new artificial tooth. For the second stage in your implant procedure, the periodontist places an abutment on your implant. This serves as the structure for your new tooth, called a crown. To make sure your implants last a lifetime, it’s important to continuously practice good oral hygiene. Dr. Figueroa recommends you brush twice a day while flossing and using mouthwash at least once. By being consistent with your oral habits, you can ensure your implants last. Following your implant surgery, you may experience some minor pain, swelling, and bleeding for around one day. During this time, it’s important you don’t rinse your mouth, spit, or touch your mouth to avoid irritating your procedure site. To replace your missing teeth and restore your confidence through the use of dental implants, call Dental Care of Deerfield Beach today or book your appointment online.